This is a sign from an old liquor store in Commerce, TX, that is no longer in business. 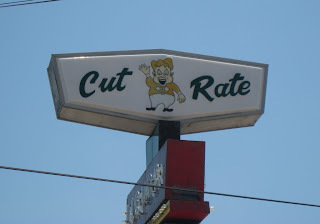 What I find disturbing about this is the little liquor boy mascot featured on the sign. 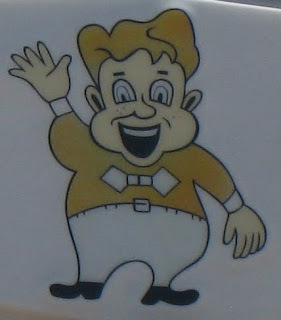 Who in the hell thought that a freaky image like this would bring in the customers? Maybe that's why they're no longer in business. He seems like a frightening apparition you would see before your eyes after you are stinking drunk.